Ingredients Fresh pasteurized milk, pickled jalapeno peppers, bacterial culture, salt, microbial enzyme. 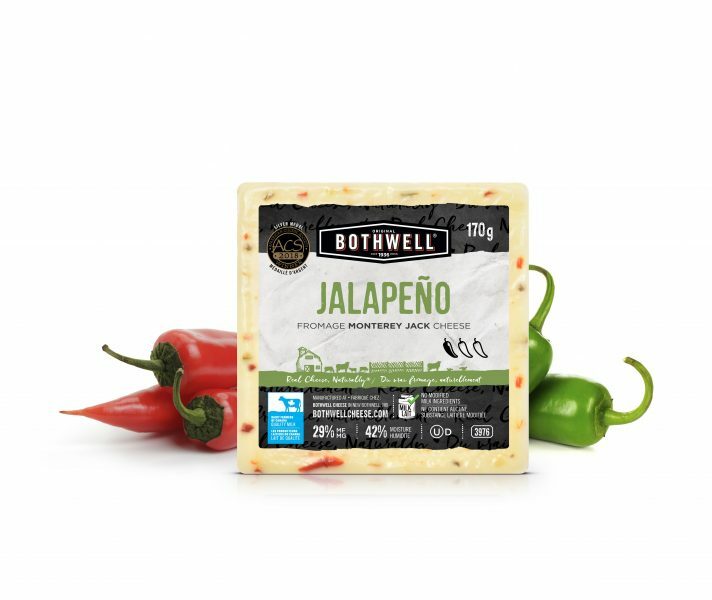 For our most popular variety, we’ve kicked up our award-winning Monterey Jack cheese by adding the finest red and green hot jalapeño peppers. 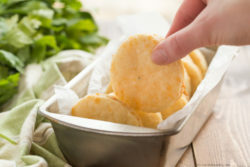 With a delicately sweet and slightly nutty flavour, this cheese has the perfect fiery bite. Riesling and Chardonnay are the choice wines to pair with this zesty Jalapeno flavoured Monterey Jack. It also blends well with white or green tea, or a bold amber ale.